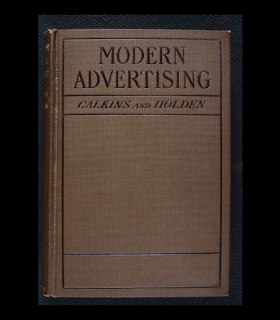 At the turn of the 20th Century, advertising would take a new and fast track. Under the pioneering practices of a deaf man who almost didn't graduate college, the world was introduced to graphic design like it had never seen before. Earnest Elmo Calkins was the son of a lawyer, and a very strict Baptist mother who forbade him to read. Young Earnest found books a solace, especially after a childhood bout with measles left him almost completely deaf. 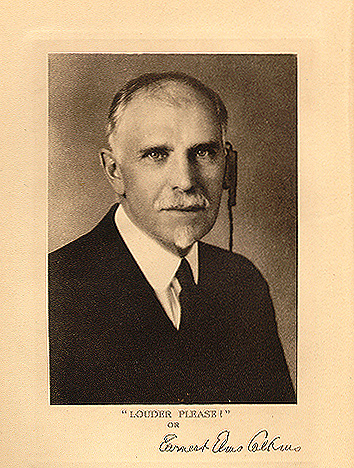 Verbal communication would prove a lifelong challenge, but he excelled at writing, which is doubtlessly the reason he was able to graduate from Knox College in 1891 after lectures he couldn't hear threatened to sink him. His first taste of work was in typesetting, and he developed a love for and creativity with font usage. He entered an advertisement contest and won, leading to a job in New York City as a copy writer for a printing firm. After a few bumpy years, his career hit stride when he joined up with the Manhattan ad firm of Charles Austin Bates, one of the judges in the contest he'd won. Along with copywriting, he experimented with typography and design. He was drawn to visual strategies to incorporate and strengthen advertisement messages. By 1902 he had his own ad agency partnering with one of Bates' other employees who specialized in securing marketing accounts, while he designed ad campaigns. Together they literally wrote the book on modern advertising. and finally, developing a fictional character in an ongoing ad campaign. The character Phoebe Snow was an ingenious way of presenting the solution to a very real problem for rail travel at the time. Coal locomotives held the dubious distinction of coating travelers with their soot. The Delaware, Lackawanna and Western Railroad, however, had an advantage that Calkins illustrated with advertising genius--Anthracite coal. Anthracite, which the rail line had vast access to, burned clean--clean enough that the well traveled New York socialite Phoebe Snow could go all the way to Buffalo with her snow white attire and trademark violet corsage unspoiled. Phoebe and her railroad success would have gone on unhindered except for WWI, when all anthracite was needed for the war effort. But In later years, The Lackawanna Railroad brought her back when it named its premier passenger line after this beautiful fictional character. This has particular interest to me, as an artist, married to a graphic designer, and a lifelong resident of Elmira, NY. 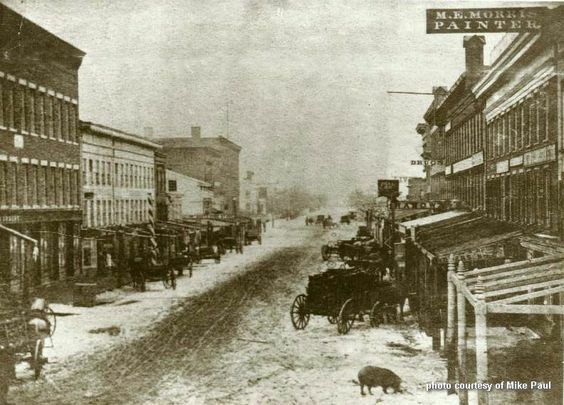 Elmira was a rail town for over a hundred years, and Phoebe Snow plays a nostalgic part of its history. Kathleen L. Maher has had an infatuation with books and fictional heroes ever since her preschool crush, Peter Rabbit. She has a novella in BARBOUR's 2018 Victorian Christmas Brides collection, featuring her hometown of Elmira, New York. 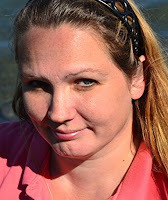 She won the 2012 ACFW Genesis contest for her Civil War historical romance, releasing this summer under a new title The Abolitionist’s Daughter. Her debut historical, Bachelor Buttons, blends her Irish heritage and love of New York history. Kathleen shares an old farmhouse in upstate New York with her husband, children, and a small zoo of rescued animals. I really enjoyed the post! Thanks for the information. Hi, Connie. You always make me smile as a faithful reader. Thank you! I love learning these historical tidbits. Thanks for the post. Thanks, Paula. They sure are fun to research. 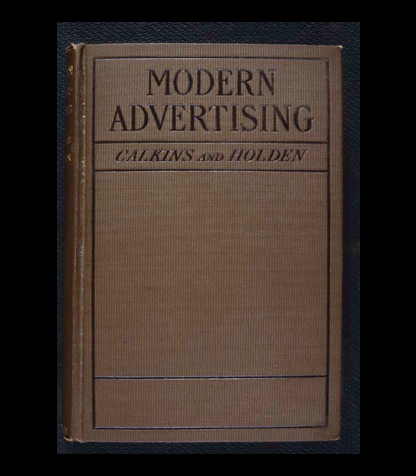 Interesting to see how advertising started out and where it is today. I know what you mean, Martha. As amazing as it seems, I both congratulate this man's genius and wish in some way he had never opened Pandora's box! Especially true when I see some of the ads used today. Some of them completely turn me off from the product. I shake my head and wonder what were they thinking. Others are clever and put the product in a great light, but far too many are on the poor side.